While visiting Kyoto, there is a double visit that many tourists don’t know till they find themselves in the heart of the city. 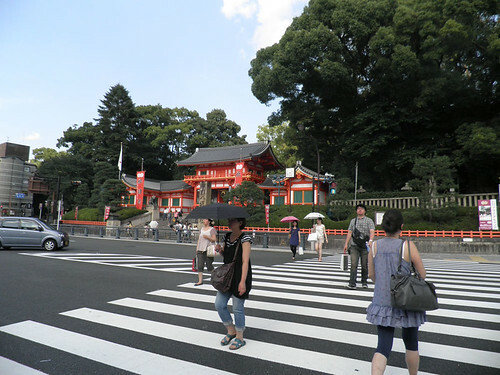 Some are attracted by Yasaka shrine, some others by Gion district, known for being the Geisha district in Kyoto. 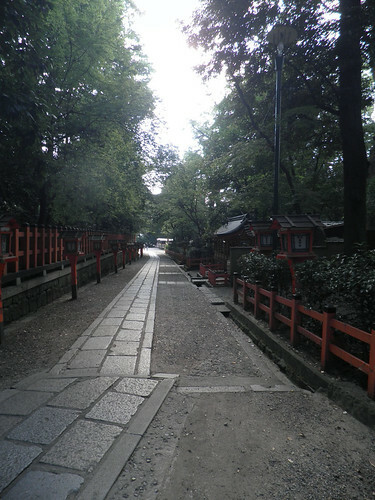 The truth is, both are near to each other, only separated by a couple of streets, so visiting both sites should be a must visit if you are walking across Yasaka shrine or Gion. 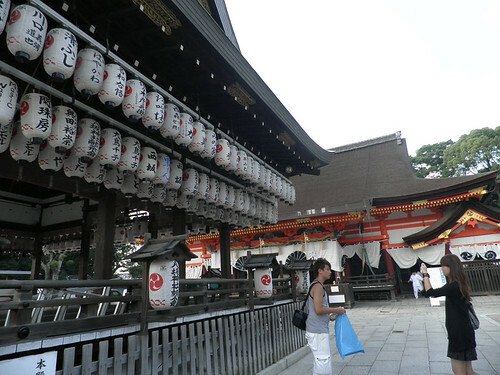 Yasaka shrine, founded over a thousand years ago, is also known as Gion shrine. 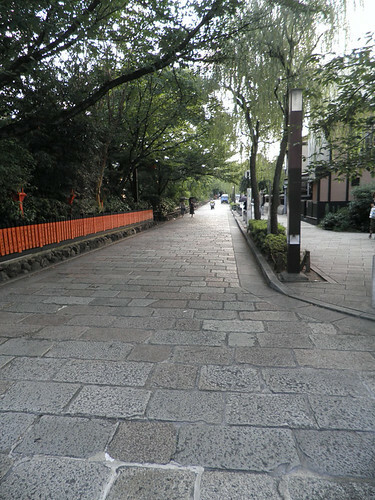 Therefore, the connection and proximity to the actual Gion district. Known for its summer festival, the Gion Matsuri, celebrated in July, dating back for over a thousand years. 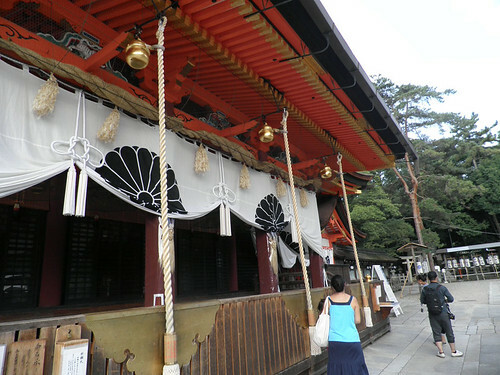 Yasaka shrine, located between Gion district and Higashiyama district, in Kyoto. Yasaka Shrine main hall, Kyoto. 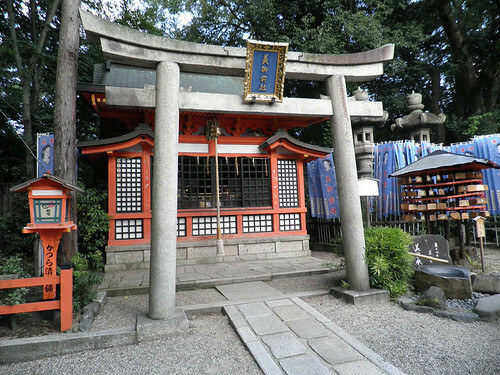 Smaller altar in Yasaka shrine, Kyoto. Walking around Yasaka shrine complex, Kyoto. Dance stage in Yasaka shrine, Kyoto. From Yasaka shrine to Gion district, Kyoto. 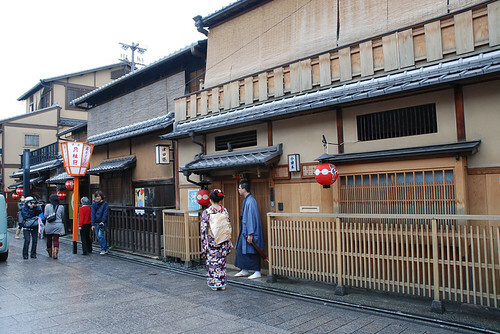 Gion is Kyoto’s most famous geisha district, located between Yasaka Shrine and the Kamo River. Stroll around and see many traditional shops, restaurants and teahouses, where Geisha and their apprentices, named Maiko, entertain. 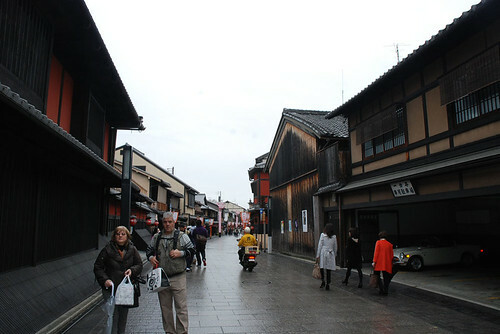 On a visit to Gion with my parents, in Kyoto. 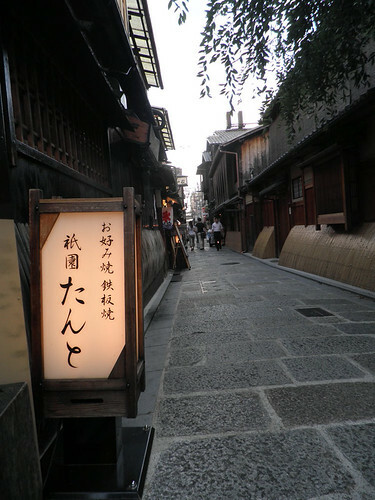 Most parts of Kyoto have a special feeling, throwing you back in time and traditions, but the place I felt that special feeling of all the other places I’ve visited was Gyon district. The closest I’ve been to take a photo of a geisha in Gion, Kyoto.